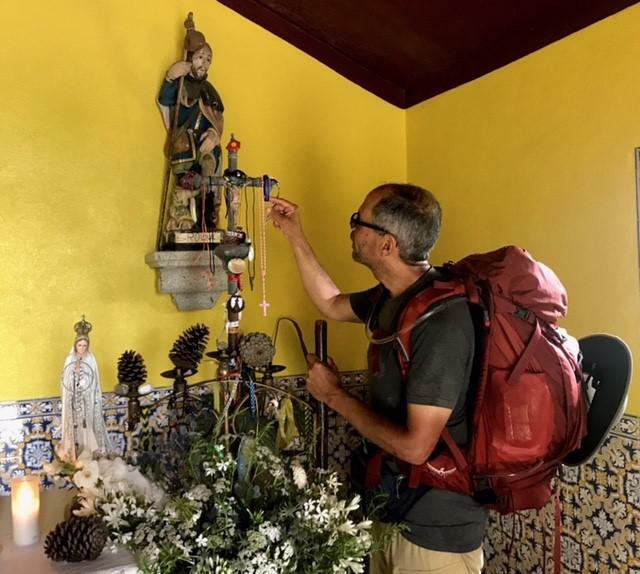 President & CEO Deacon Jim Vargas shares his final reflections on his pilgrimage. On El Camino, we’ve come across a number of small chapels. One was a chapel named for St. Mary Magdalene from whom Jesus cast out seven demons and to whom He first appeared after He was resurrected. At Jesus’ tomb, Mary wept at the loss of Jesus. She was broken and felt that she could not possibly continue on her own. We each know the experience of feeling broken at times in our life. 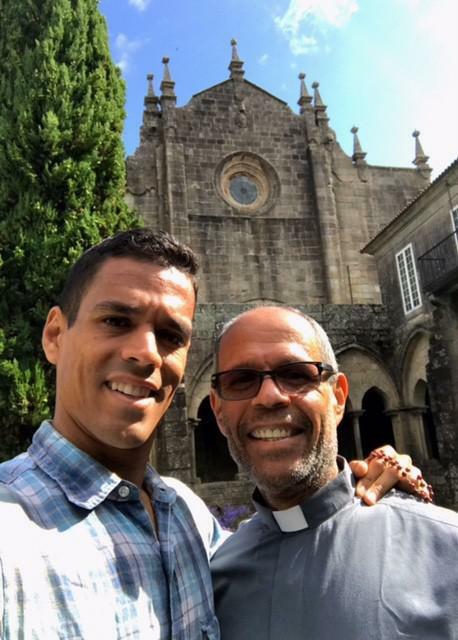 Many come to Father Joe’s Villages with that sense of brokenness, feeling lost and abandoned, thinking that they can’t possibly better their situation. Our many programs and services help them to not lose hope and to regain their self-esteem. Neighbors at Father Joe’s Village leverage the tools available and pursue their interests in order to achieve self-sufficiency. If there’s a desire to become a chef, our intensive Culinary Arts Program equips participants with the skills to excel. If there’s a desire to become a security guard, our Security Guard Program prepares candidates to enter that field. 73% of clients who received targeted employment-related services in 2016 obtained employment. At Father Joe’s Villages, transformations occur every day. 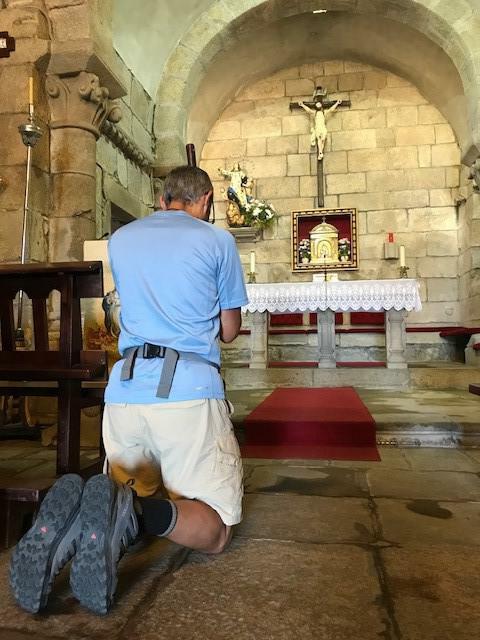 Part 6: Deacon Jim Finishes His Pilgrimage on El Camino de Santiago. 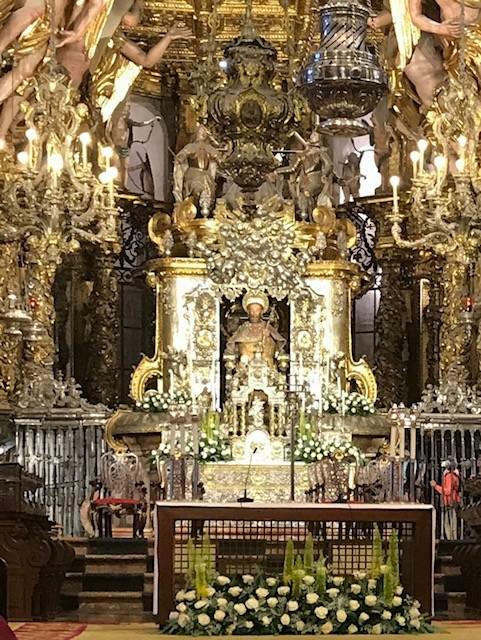 We concluded our pilgrimage at the Cathedral of Santiago de Compostela on the eve of the annual feast of St. James the Greater, having walked 240 kilometers. Why embark on El Camino? Generally, a pilgrimage is a spiritual journey that takes you to a holy site. In this case, it was to the tomb of this apostle who brought the Christian faith to Spain. He was subsequently beheaded in Jerusalem in the year 44AD by Herod Agrippa. For almost 1,000 years, pilgrims have been traversing El Camino to reach their goal. A pilgrimage is much more than arriving at an earthly destination. It is a realization that in life we don’t journey alone. Our destiny is realized in our drawing closer to our Creator, He who made us be in a union with Him and with one another. As we encounter others on The Way, we wish them Buen Camino, that their Way be productive and fulfilling, that they reach our common destination in safety and that they may overcome any challenges. As we journey with those who come to us at Father Joe’s Villages, we realize that each individual’s path is different and fraught with difficulties, and yet each strives for self-sufficiency. We explore a person’s many housing options, we help those seeking employment unearth their potential and we make it possible for a parent to realize the dream of a better life for their children. I thank you for helping us transform the lives of those we serve. My friends, in our life’s sojourn, I wish you Buen Camino.